Must be 21 and over, ID required. 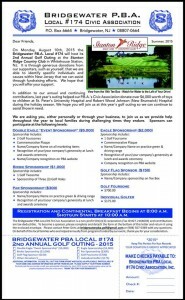 Come take part in our 2nd Annual Golf Outing at the Stanton Ridge Country Club in Whitehouse Station on August 10th! For more information, contact Detective Peter Ochs at 908-722-4111 ext 4144 or at pochs@bridgewaterpd.com. Or visit our Golf Outing page! Launch of New PBA Website! 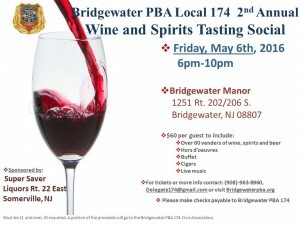 July 19, 2015 – Launch of the new Bridgewater PBA #174 website! 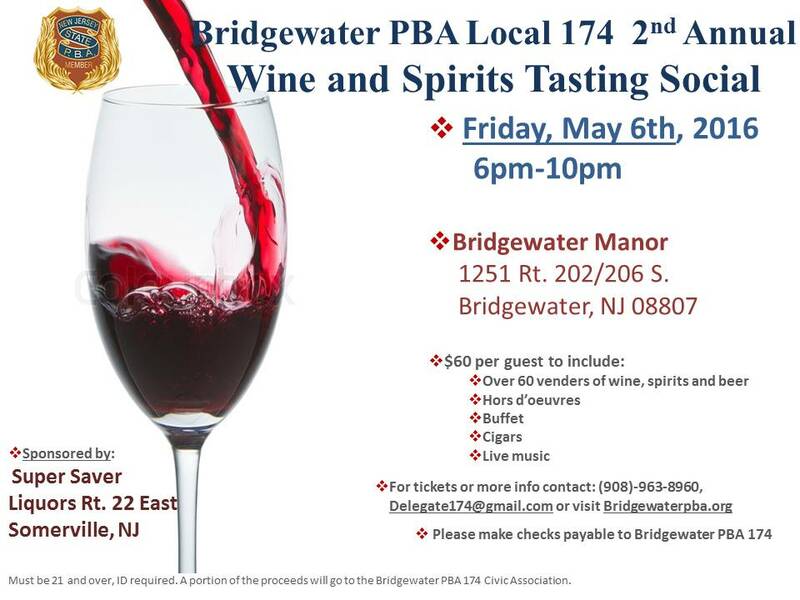 BRIDGEWATER, NJ – What could have turned to tragedy became a miracle thanks to the quick response of family members, the Bridgewater Township Police Department and Robert Wood Johnson University Hospital Somerset emergency responders. On the morning of July 4, 1-and-a-half-year-old Camron Rodriguez, of Somerville, was with his family at a friend’s home in Martinsville, when he and a 2-year-old friend decided they wanted to put bubbles in the pool in the backyard. The two unlocked the back door and went outside – but Rodriguez slipped, hit his head and fell into the water unconscious. She and her fiancé, Anthony Rodriguez, found their son lying on the top of the water on the steps into the pool. Anthony Rodriguez grabbed his son out of the pool and started doing chest compressions, while Hatrum administered CPR and a friend inside the house called 911. County dispatchers Brianna Retsis and Mike Misciagna received the call, and they immediately sent officers out. Bridgewater Township Police Officer Brian Sujansky was first on the scene, arriving in under four minutes from Finderne, followed seconds later by Officer Kurt Bernhard and then Sgt. Chris Fisher. Robert Wood Johnson University Hospital Somerset paramedics Lauren Pauli and Scott Morrison were also dispatched immediately. When they arrived on the scene, Sujansky said, Camron Rodriguez’s breathing was shallow and his skin was blue. Camron Rodriguez was taken to the hospital, and spent three days in pediatric ICU before he was released. “He has no memory loss, no brain damage and he is not even afraid of the water now,” Hartrum said. The family, which also includes 8-year-old Chase and 5-year-old Cayden, met with the officers and paramedics Thursday to thank them for their role in saving their son. Anthony Rodriguez was choked up as he spoke to the officers. “We are grateful, and this showed how positive teamwork can be,” he added. Bridgewater Township Police Chief Manny Caravela said the department appreciates that the family took the time to thank them for the job they do every day. Hartrum said they just wanted to express their appreciation. “Thank you to everybody who helped, from our entire family,” she said.